NTI is currently actively collecting market compensation data for the 2018 National Private Fleet Survey, now in its 23rd year of publication. Each year NTI aggregates, analyzes and publishes actual driver compensation data from private fleets across the country to help private fleet executives make critical decisions regarding driver compensation and benefits to stay competitive. 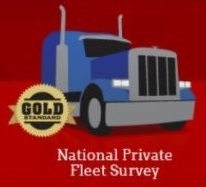 “Private fleet executives trust the National Private Fleet Survey for their biggest decisions because only NTI meticulously gathers the most up-to-date private fleet compensation data and conducts rigorous analytics to deliver current private fleet specific compensation and benefits data, trends and related information that helps them determine opportunity gaps,” said Mark Shaver, NTI Vice President. Private Fleets can to learn more about the National Survey and the valuable benefits of participation here including receiving critical insights about fleet driver pay and benefits packages in aggregate form.